Don't miss this beautiful used 68' Princess yacht - now in Palm Beach! 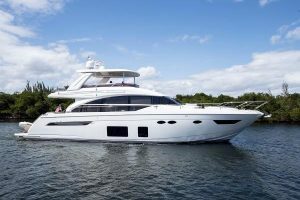 : Atlantic Yacht & Ship, Inc.
Don’t miss this beautiful used 68′ Princess yacht for sale – now in Palm Beach! Don’t miss this beautiful used 68′ Princess yacht for sale in Florida! This beautiful used 68′ Princess yacht for sale is now located in Jupiter, FL! This beautiful used 68′ Princess yacht is available to be seen in Jupiter, FL!